Our workers comp programs help Minnesota employers spend less on work comp coverage. At Workers Compensation Shop.com we offer insurance from a network of more than a dozen providers just in the state of Minnesota. Most providers only offer coverage from a select few. This allows our agents to shop your workers comp coverage, in order to get you the best value for your work comp policy. We also offer several programs to allow you to get workers' compensation insurance on your terms. One such program is Pay as you go workers comp coverage. This allows a business to pay their premiums throughout the year instead of estimating payroll at the beginning of the year. Don't pay too much for your work comp coverage. Start a quote online or call one of our Workers' Compensation Specialist at 888-611-7467. According to the Minnesota Department of Labor and Industry It is a requirement that all employers, who employ one or more workers, are required to carry Workers Compensation Insurance. Rates on Workers Compensation Insurance in Minnesota are comparable to the national average and have stayed steady for several years. This makes it crucial for businesses to shop their policy with numerous carriers to find the most comprehensive coverage and better rates. 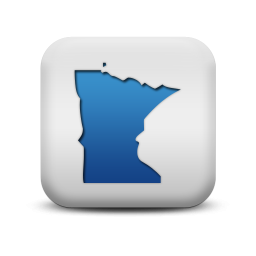 At Workers Compensation Shop.com, we help Minnesota Employers find the best deal on workers comp coverage. Give us 3 minutes and we'll tell you if we can help your business find more affordable coverage. If we can't help, we will give you our best advice on where to go next. Give one of our workers compensation Specialists a call today at 888-611-7467 to learn about or workers compensation insurance programs in Minnesota.